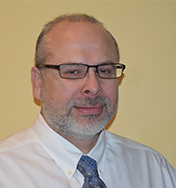 RALEIGH, N.C. — Terracon, a leading provider of environmental, facilities, geotechnical, and materials services, is pleased to name Robert (Bob) Pavlicek, P.E., as manager for its Eastern Operating Group which spans from Maine to Florida and from Louisiana to the East Coast. He joined Terracon in 1988 as a materials technician, and has since served as staff engineer, senior geotechnical engineer, geotechnical department manager, regional manager, and division manager. With almost 30 years of experience with Terracon, Pavlicek brings a strong knowledge of operations and delivering results by growing a team of successful leaders. “I am honored and excited to take on this role and looking forward to leading the continued safety, growth, and profitability of the Eastern Operating Group,” Pavlicek said. Pavlicek recently served as assistant operating group manager for Terracon’s Eastern Operating Group and interim division manager for its Northeast Division. He holds a master of science degree in geotechnical engineering from The University of Texas at Austin, and a bachelor of science degree in civil engineering from The University of Iowa. Pavlicek is licensed as a professional engineer in four states. Terracon is an employee-owned engineering consulting firm with more than 3,500 employees providing environmental, facilities, geotechnical, and materials services from more than 130 offices with services available in all 50 states. Terracon currently ranks 32nd on Engineering News-Record’s list of Top 500 Design Firms. For additional information about Terracon, please visit www.terracon.com.